Razer and Lenovo's partnership is a bit intriguing and a lot expensive. Almost precisely two years to the day since it unveiled the dead-on-arrival Project Christine concept, Razer took to CES to show off a much more conservative desktop PC: the IdeaCentre Y900 RE (for "Razer Edition"). Why this matters: It's a landmark moment for Razer. 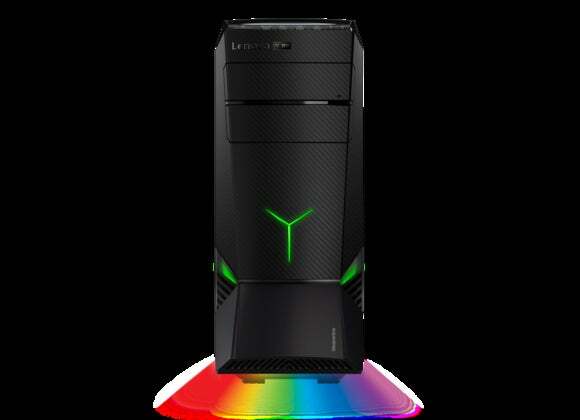 This is the company's first-ever desktop PC, the result of a recently-announced partnership with Lenovo. As I said back in November, it's a win-win deal—Lenovo gets the benefit of the Razer cult brand, Razer gets to "make a PC" without actually making a PC. But what was just a few concept renders and vague hints in November is now an actual product with a release date and a price and specs. As the name indicates (and as I suspected in November), this is indeed a fork of Lenovo's existing Y900 line. The main difference? The presence of Razer peripherals. And...that's pretty much it. I swear. The stock Y900 and Razer's Y900 are practically identical, and not just because they share the same case design. Both pack overclockable i7 processors, both include up to 32GB of DDR4 RAM, and both sport a 256GB SSD (though the Razer Y900 can also include up to a 2TB hard drive). There's a slight difference when it comes to graphics cards, as the stock Y900 configurations only include a single Nvidia card. 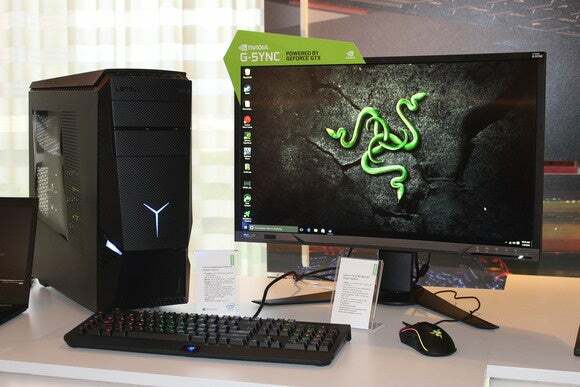 The Razer Y900 can include two—but only two GTX 970s, per Lenovo's spec sheet. Given Razer's inclination toward high-end hardware, I'm surprised there's no option for dual-980 or dual-980 Ti setups. 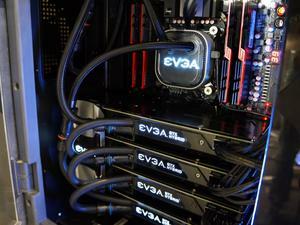 It's all-in-all a fairly safe, conservative PC, as far as pre-built gaming rigs go. The few Razer touches are largely superficial, as the Y900 RE ships with a Razer BlackWidow Chroma keyboard and Mamba Tournament Edition mouse, plus some custom RGB lighting for the case itself. Nothing that's going to blow you away, in other words. And that's a problem, given the Y900 RE's price. Lenovo's press release says it starts at $2,300, with more advanced configurations (like the dual-970 version) presumably costing more. Some quick back-of-envelope math shows that price isn't too inflated, but a savvy consumer could build a better machine for less money. 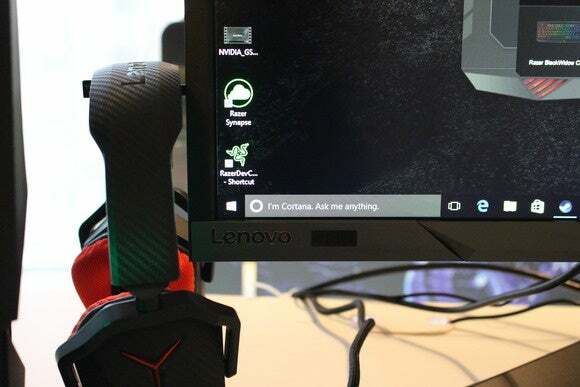 The same sort of savvy gaming consumer Lenovo and Razer hope will opt for the Y900 RE instead. 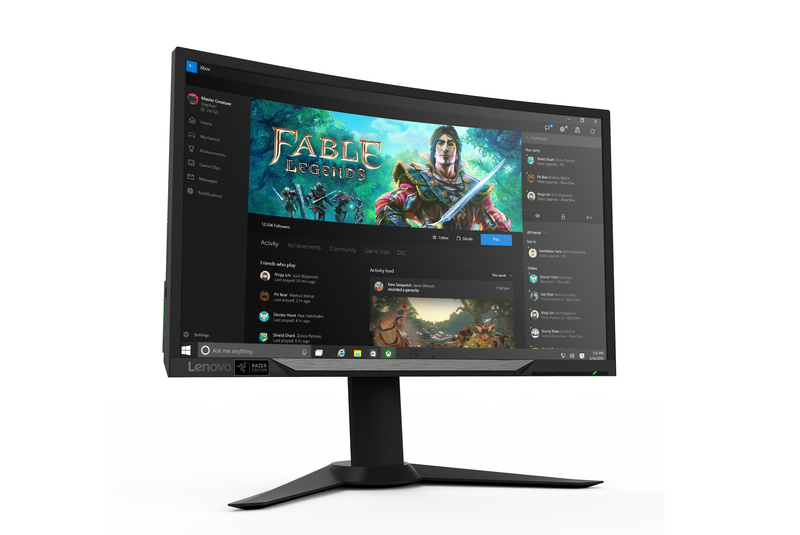 Far more interesting is Lenovo's newly-announced Y27g RE (again, "Razer Edition") monitor. Where the Y900 RE feels fairly safe and conservative, the Y27g is actually a unique piece of hardware. Curved displays are becoming more standard. 144Hz is pretty common in gaming circles. Nvidia's G-Sync (adaptive frame rate) tech is slowly gaining a foothold. But a monitor that combines all three? That's extremely rare. Like, maybe a handful of different models on the market. Maybe. That makes the Y27g an interesting proposition, though it's not without some drawbacks. It features a less-common VA (vertical alignment) panel, which means your colors won't compete with a quality IPS display, and the 1920x1080 resolution is underwhelming for 27 inches diagonal. But more worrisome is the Y27g's lackadaisical 8 millisecond response time—abnormally high for a gaming monitor, and potentially a harbinger of image ghosting on the display. Impossible to tell without the monitor in front of me. Aside from the display itself, Lenovo's thrown in a few luxury features—four USB 3.0 ports, a headphone hook, and Razer's Chroma (RGB) lighting on the rear of the monitor if you want to brighten up your wall. It's an interesting start to what Lenovo termed an "open-ended" partnership—nothing truly shocking, no Project Christine-level surprise, but a solid line-up upon which Razer can hang its neon-green hat. Look for both the IdeaCentre Y900 RE ($2,300+) and the Y27g RE ($600) in June of 2016, and stay tuned to PCWorld all week for more news from CES.